Expansive golf & lake views glass enclosed patio w/ hurricane shutters, Fully furnished. Ready for quick sale/closing. Investors welcome!! No rent wait! !55+ aged community.Screened entry door. Eat in kitchen pantry & pass thru to dining area.Kitchen has side/side fridge w/ice, s/s sink, dishwasher, disposal,& microwave. Medical Equipment, Wheelchair, TVs DO NOT CONVEY!Full washer/dryer,linen closet. Master bath glass shower door. Covered parking spot.Steps to pool/clubhouse/tennis courts. Minutes shopping, Boca Towne Center Mall,441, Fl Turnpike, restaurants, West Boca Community Hospital, & houses of worship. Sold ''AS IS'' w/ Right to Inspect.Sale must be approved by Court/Judge. Please submit offers current FAR/BAR contracts.Cash offers-Proof of Funds. Financing-Letter from Verified LenFully Furnished-couch, recliner, wall unit in living area. Dining room features mirrored wall glass top table, 4 chairs. Kitchen has table & chairs, Master bedroom has double bed, dresser, sliders to patio & walk in closet + linen closet. 2 bedroom has bed and wall unit too. 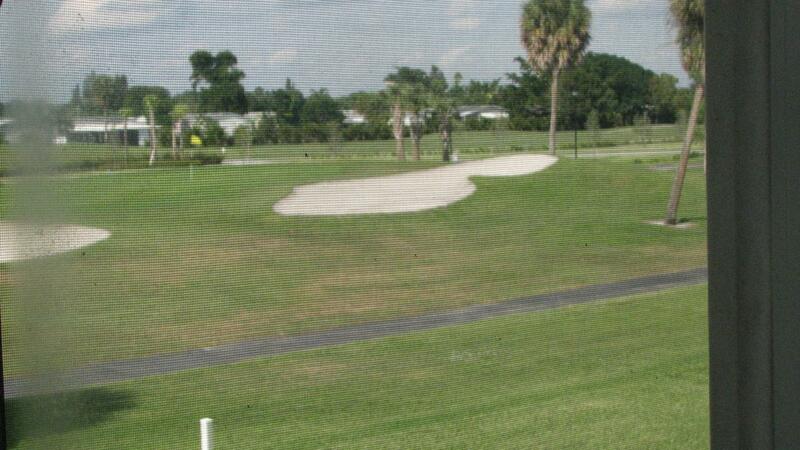 Patio overlooks golf/water with glass enclosure and hurricane shutters - f/s washer/dryer. Property is sold with owner Jeanette Malarkey with Simone Witkin as Legal Guardian. Simone Witkin as not occupied property and all disclosures prepared to the best of her knowledge. Sale must be approved by court/judge. Seller is represented by attorney. Listing provided courtesy of Lindhaven Properties Llc.